Are you dreaming of white sand beaches and a golden glow on your skin? 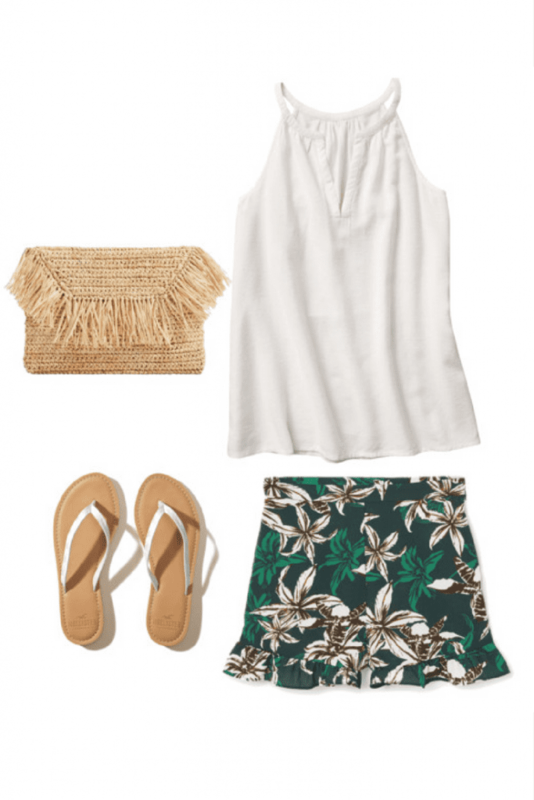 Here are 5 summer outfit ideas that have a fabulous island vibe fashion to them. Actual beach not required. When you think of island vibe fashion, what comes to mind? 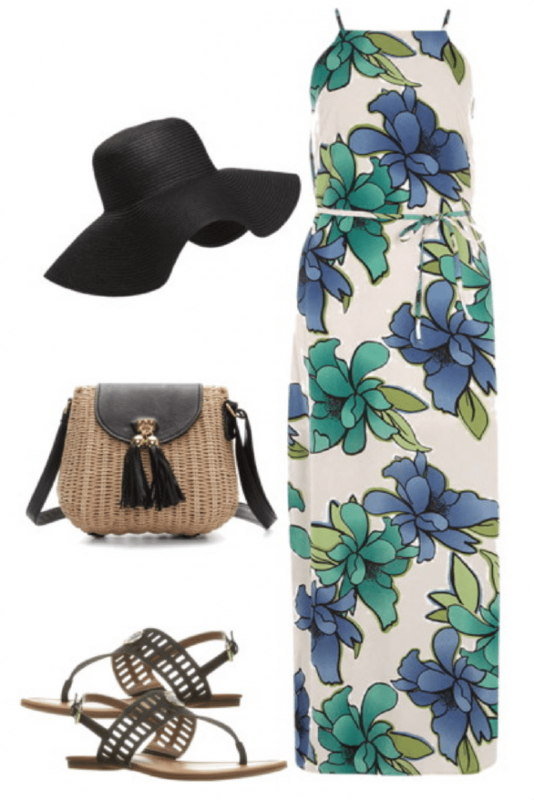 Maybe tropical prints, white dresses, and floppy hats? 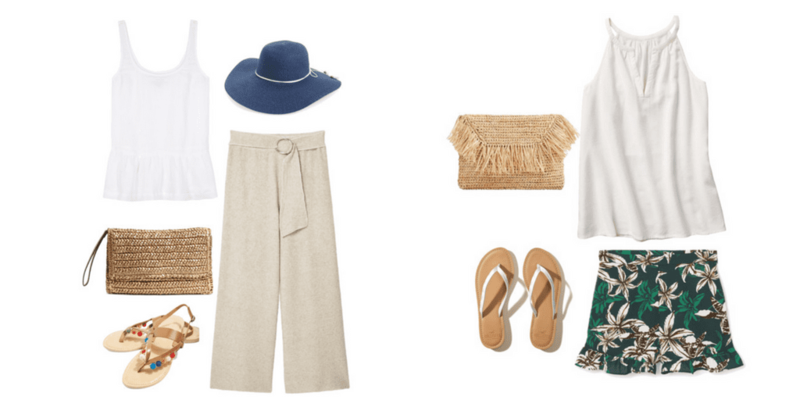 If you enjoy the carefree spirit of outfits you could wear walking the beach or sitting down to the locals’ favorite fish dinner, then these outfits are right up your alley. 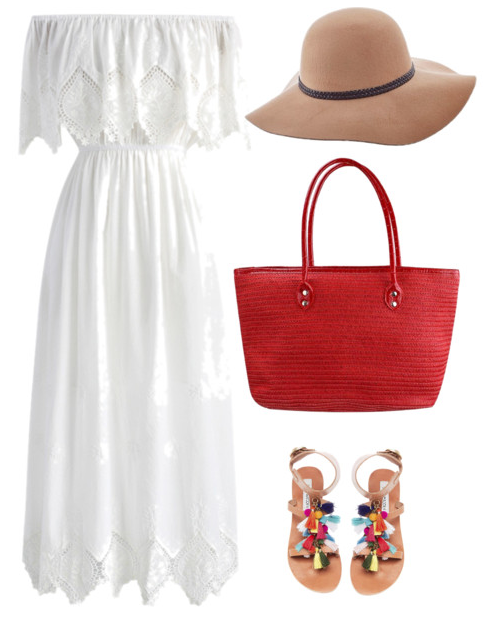 It doesn’t get more classic than a flowy white dress and a floppy hat. 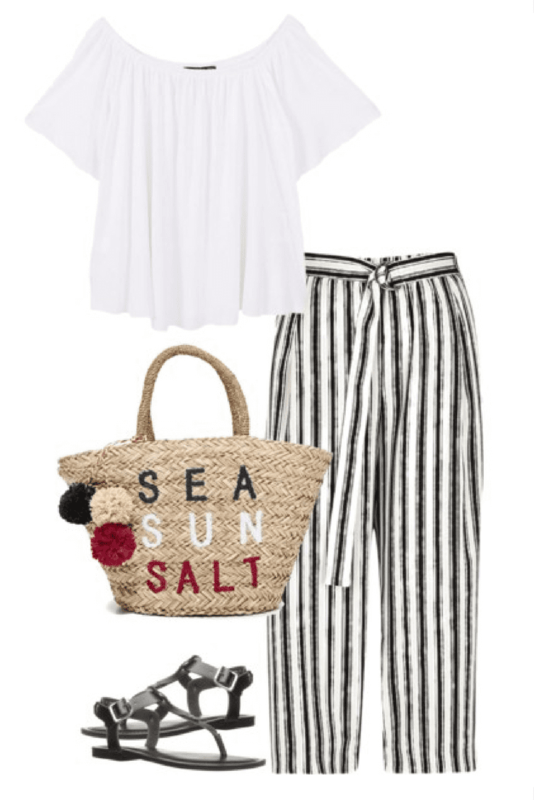 The perfect outfit to walk the beach in or head out to dinner with that special someone. Printed shorts are perfect for the beach! Wear them over your bathing suit or alone for a day out and about exploring the city. Put on those cropped pants and get ready to splash barefoot in the waves. Or put them on for a day of shopping. Either way, these pants are super comfortable and stylish. When I think of island vibe fashion, flowy maxi dresses automatically come to mind. The bigger the flowers, the better. 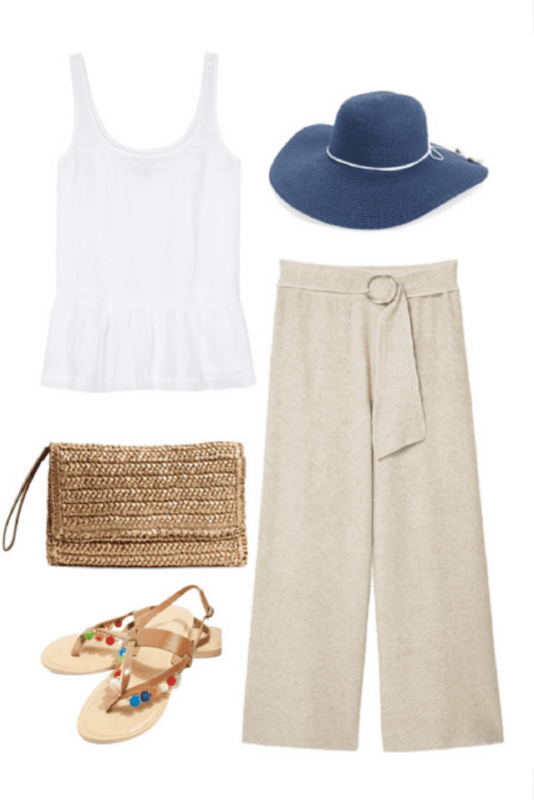 Have you tried a pair of palazzo pants yet? If not, you’re missing out! Known for style and comfort, they make the perfect companion for a pair of pom pom sandals. I love all of these outfits! So pretty and perfect for summertime, especially if you are going on or craving a little island getaway! Thanks for the fashion inspo! I would wear any of these outfits! Perfect summer looks! 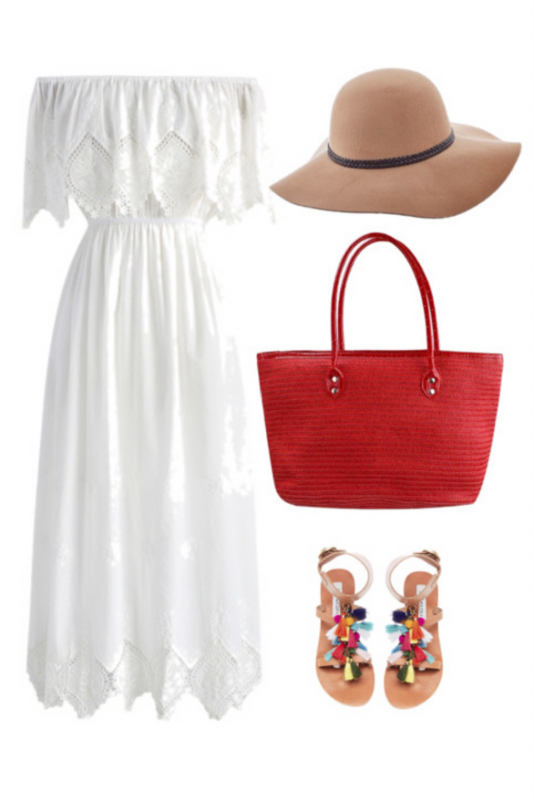 Love the outfits, especially the handbags and sandals!